Jameson Taillon went the distance at Coors Field, no easy task. He allowed only 2 runs in 9 innings to earn the 10-2 Pirates decision over Colorado. Dallas Keuchel allowed 3 hits, 2 walks and 1 run over 6 strong innings. He did not get the win, but Houston did over San Francisco, 2-1. Manuel Margot singled, tripled and homered, driving in 4 as the Padres beat the Brewers, 11-5. J. D. Martinez went 3 for 5 including a 3 run go ahead homer in the 8th inning that helped the Red Sox top Toronto, 10-7. Albert Pujols reached base 4 times, including a pair of homers, the second tied him with Ken Griffey Jr. on the all time list, to lead the Angels past the Mariners in an 11-2 blow out. Kyle Gibson struck out 9 Rays in 8 innings, allowing 5 hits and 1 run to give Minnesota a 5-1 victory. Anthony Rendon homered twice and added another hit, driving in for the Nationals in their 5-4 win over the Mets. Jameson Taillon allowed 1 run, 4 hits and no walks over 6 innings while whiffing 10 Brewers along the way to the Pirates 6-3 victory. Tags: albert pujols, anthony rendon, baseball, jameson taillon, jose bautista, Jose Ramirez, kyle gibson, mlb, Paul Francis Sullivan, Sully Baseball, tyson ross, who owned baseball, Who owns baseball? Jameson Taillon threw a complete game 1 hit shutout, striking out 7 Reds and winning another game for the red hot Pirates, 5-0. Shohei Ohtani kept up his mind boggling week by taking a perfect game into the 7th and finished with 7 shutout innings, striking out 12 Oakland batters and earning the 6-1 decision for the Angels. Ozzie Albies doubled and homered with 2 RBI to lead the Braves over Colorado, 4-0. Mike Trout reached base 3 times, including a homer, driving in 2, scoring 2 and stole a base to provide the Angels’ offense in Ohtani’s 6-1 masterpiece over Oakland. Drew Pomeranz threw 6 innings, allowing 3 hits and 1 run to earn the 6-3 decision over the Astros and clinch the AL East title for the Red Sox. Jameson Taillon struck out 5 Washington batters and allowed 1 run over 7 innings, setting up Pittsburgh’s come from behind 4-1 win. Mitch Haniger doubled 3 times and singled twice and scored in the Mariners 5 run 8th inning to come back and top the Angels 6-4. Asdrubal Cabrera got 4 hits, including a double and a homer, driving in 4, leading the Mets past the Phillies, 7-4. Carlos Carrasco took a no hitter into the 7th, allowing 2 hits and striking out 10 Rays in 8 shutout innings to get the 5-0 decision for Cleveland. Jameson Taillon threw 6 strong innings, striking out 7 Blue Jays as the Pirates took the 4-2 game to stay in the playoff race. Eddie Rosario got 3 hits, including a 3 run homer and stole a base as the red hot Twins won against Detroit, 9-4. Zack Cozart got on base 4 times, homered, drove in 2 and scored 3 as the Reds beat the Brewers in a wild 11-10 slugfest. Francisco Lindor reached base 4 times, stole a base, homered twice including a 9th inning come from behind grand slam to put Cleveland ahead of Texas, 9-6. Matt Wieters reached base 4 times and drove in 2 to help the Nationals beat the Marlins, 6-4. Chris Sale shone in his Boston debut, keeping the Pirates scoreless over 7 innings. He did not get a decision but set up the Red Sox 3-0 extra inning win. Brandon Finnegan struck out 9 Phillies over 7 innings of 1 hit ball to earn the 2-0 victory for Cincinnati. The old adage here is ‘you want to know the truth, follow the money. We have been talking projections for win totals in the upcoming MLB Year on a all offseason basis here at the MLB Reports. While we agreed a lot with the fangraphs.com prognostications, we had a problem with Baseball Prospectis’s PECOTA System yet again. In the 1st total listed below are the official Win/Loss Over/Unders For All 30 MLB Clubs posted by Atlantis Casino. We have to say that they pretty much mirrored what we have on the board for our projections. Casino’s have a vested interest since it will cost them serious money if there are poor predictions. 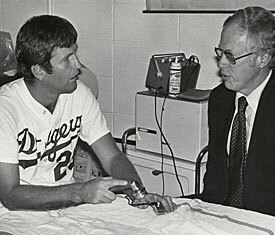 Each year we are enlightened to a few surprises in the MLB we were not expecting. This year there are 5 teams that seem could flip either way based on the talent coming to fruition. We tried to pick a club for each Division here, but simply couldn’t come out with a AL Central team. With Alex Cobb potentially coming back healthy to the rotation that features Chris Archer and Jake Odorizzi already. the Rays will have decent chuckers to start this campaign. Add Blake Snell, Matt Andriese and recently acquired Jose DeLeon (who should contribute quality innings this campaign and all of a sudden this club doesn’t look too shabby for depth. The Relief Core is also solid if Brad Boxberger can reclaim his form, and see a similar year for Alex Colome. Evan Longoria, and Brad Miller both put forth 30 HR seasons in 2016, and Matt Duffy may prove to be a decent Batting Average guy at Shortstop now. P- Jameson Taillon (vs. Milwaukee Brewers): $9,900. Taillon has been incredibly consistent all year long. He is coming off one of his best performances on the mound this year after throwing eight innings of two run ball against the Houston Astros. His last eight outings have been quality starts. In two starts against the Brewers this season, Taillon has thrown 12 innings while giving up only three runs. P- Marcus Stroman (vs. Minnesota Twins): $9,100. Stroman struggled mightily throughout the first half of the season, but he has done quite well recently. Over his last six starts, he own a 2.45 ERA and 47 strikeouts over 40.1 innings pitched. He has been racking up the strikeouts over his last few starts, which is obviously great for daily fantasy. Minnesota’s offense has been absolutely terrible over the last few weeks, so this should be great for Stroman. Carlos Carrasco threw 8 shutout innings, allowing 4 hits while striking out 9 Oakland batters as Cleveland took the tense 1-0 pitchers duel. Xander Bogaerts reached base 3 times, homered, scored 2 and drove in 2 to help the Red Sox move back into a first place tie with a 6-2 win in Tampa Bay. Jon Lester struck out 8 Padres in 6 innings, allowing 1 run and earned the 5-1 decision for the Cubs. Adrian Gonzalez homered 3 times and drove in 8 in the wild 18-9 Dodgers victory in Cincinnati. They All Owned Baseball on August 22, 2016. P- Jameson Taillon (vs. San Diego Padres): $8,600. Taillon has been the definition of consistent. Over his last five starts, he has thrown exactly six innings, with a 2.40 ERA, and 28 strikeouts. Each one of those outings led to a quality start. He will be facing the Padres on Thursday, who doesn’t have a very impressive lineup. P- Matt Garza (vs. Atlanta Braves): $5,700. In 120 career at bats against Garza, the Braves’ lineup is batting .217, with a .280 OBP, and a .331 slugging percentage. Garza has been very effective in his last three starts, which is a great sign for hopeful success against the Braves on Thursday. Over those starts, he is 2-0, with a 3.12 ERA, and 10 strikeouts. Yoan Moncada (BOS, 21 Years Old, 2B): Moncada has stolen my heart and he has stolen the top prospect in my midseason rankings. In 414 plate appearances between High-A and Double-A, Moncada is batting .294, with 12 home runs, 43 stolen bases, .404 OBP, and a .513 slugging percentage. He is blocked by Dustin Pedroia at second base, but there is a good chance the Red Sox move him to third base or to the outfield at some point. Regardless of what position he plays, Moncada will be an elite ball player, and an even better fantasy player. 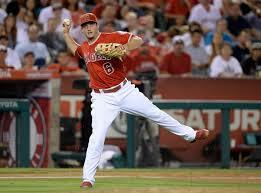 He has the ability to steal 40+ bases, with an on base percentage of .370+, and 20 home runs or more in a season. Needless to say, those statistics would put him in an elite class in fantasy baseball. From the moment he got drafted to the moment he officially earned his first big-league victory, this was not how Pittsburgh Pirates pitcher Jameson Taillon imagined it would all happen. That doesn’t mean it wasn’t worth the wait, though. Expectations were high within seconds of him learning he was taken with the second overall pick in the 2010 MLB draft — right after Bryce Harper and right before Manny Machado. Those expectations continued growing after just 23 career minor league starts when analysts began mentioning him as one of baseball’s top 20 prospects. He continued proving those analysts right as he rose all the way up to Triple-A as a 21-year-old in 2013. And then suddenly, everything had to be put on hold. In the blink of an eye, Taillon went from being a stud top prospect on the verge of his big-league debut to being sidelined with injuries for two full seasons. Then, it happened – the call Taillon was anticipating on getting sometime during 2014 finally came on June 8 in front of the home crowd at PNC Park against the New York Mets. It wasn’t a Stephen Strasburg-like debut, but it wasn’t too shabby. The right-hander delivered a quality start by allowing three runs on six hits, two walks and three strikeouts in six innings of work. Little did he know how soon and how important his second MLB start would be. James Taillon took a no hitter into the 7th and finished with 8 innings of 2 hit shutout innings as the Pirates blanked the Mets, 4-0. Carlos Gonzalez went 4 for 5 including a homer to lead the Rockies in a 13-10 slugfest over the Yankees. Doug Fister pitched into the 8th, going 7 1/3 innings, allowing 2 runs and earned the 5-2 decision for the Astros over St. Louis. Josh Donaldson reached base 4 times, homered and drove in 5 to help Toronto blast the Phillies, 11-3. They all owned baseball on June 14, 2016. You read that correctly folks, Pirates’ right-handed pitching prospect, Jameson Taillon, is finally getting called up! As many of you well know, I am a huge fan of this pitcher. He has the potential to be a frontline starter in the Pirates rotation in the future and he could be there faster than you think. Taillon has had a very difficult road to the major leagues. He was drafted in the first round (second overall) by the Pittsburgh Pirates in 2010. From 2011 to 2013, he shot up the organization and was on the fast track to a promotion to the big league team. Unfortunately, he was sidelined in 2014 after receiving Tommy John Surgery. After a second consecutive exit from the playoffs by way of the wild card game, the Pittsburgh Pirates promised a bigger payroll this season, but could they have done better? In December, Neal Huntington and Frank Connelly both hinted the Pirates target payroll would be approximately $105 million for opening day. 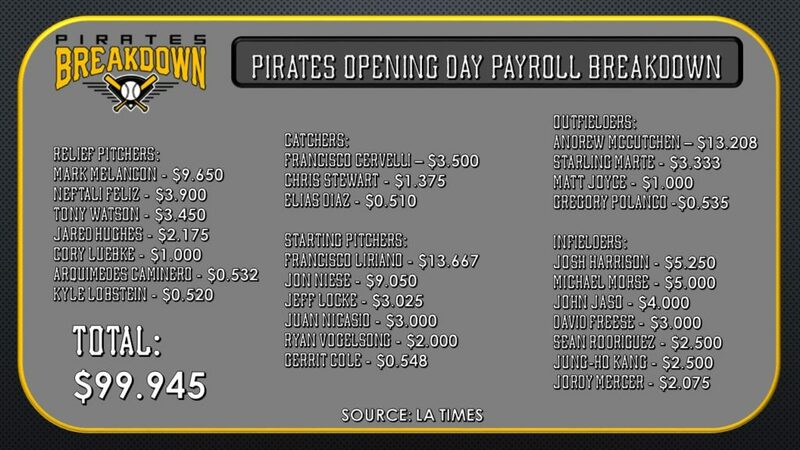 As it stands, the Pirates opening day payroll was about $100 million. That wouldn’t be so bad if the team’s pitching staff wasn’t off to a rough start, the first base platoon partner wasn’t gone after two weeks, and the Cubs weren’t the center of the baseball universe at the moment. The saying goes, “hindsight is 20/20,” but we consider what could have been if the Pirates had spent their money a little differently. The rules for this little experiment are simple. We cannot exceed $105 million, and our payroll has to include 28 players due to Jared Hughes, Elias Diaz, and Jung-Ho Kang starting the season on the major league disabled list. If we choose any players the Pirates did not sign, we will assume the Pirates could have signed said player(s) to the same terms. Knowing what we know now, here’s a look at what the Pirates roster could have been. Corey Seager is not even in the lineup to open the season but he is the overwhelming favorite to the win the NL Rookie Of The Year Award in 2016 MLB Action. Update: I was wrong, Seager is was in the lineup for the opener. Having said this, there is no value to bet on him at the odd given, even though he is the overwhelming favorite. Like we said the American League odds list, there is never a real need to play a whole season to win this award. That is unless you have to compete against a 2015’s winner in Kris Bryant, who was brought up in mid April last year. Really this is Seager’s spot to lose. I hate the odds for a guy who is injured to begin the campaign, nonetheless he would still be my pick for the Award. Steven Matz has dubbed the 2nd favorite – along with Kenta Maeda. Both of these guys broke camp with the big club, and could make 26 – 30 starts this year. I love the odd better for Maeda, who is slotted higher in the rotation than Matz. These odds are not glamorous to wager on either. Perhaps the most intriguing guy on the list is Trevor Story. He is the starting shortstop while Jose Reyes is still on the inactive list – awaiting a resolution (suspension) for his part in a domestic dispute in Hawaii over the winter. You can never have too much depth. It is the mantra of every athletic team from community youth programs to the major sports conglomerates, from badminton to baseball. 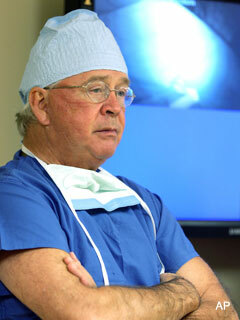 Last year, the Pirates had eleven cases of Tommy John surgery throughout the organization. They were hit hard at the Triple-A level, especially with injuries. Casey Sadler, Brandon Cumpton, and Jameson Taillon were lost for the season. Alen Hanson suffered a hand injury that caused him to miss out on a September promotion. The Pittsburgh Pirates need to take advantage of the wealth of affordable veteran talent still available on the free agent market. But who? WTF Pittsburgh? Are You Contenders Or Are You At The Kids Table? This Pirates club has made themselves relevant in the NL for the last 3 years with appearing in the Wild Card game – and pushing the Cards to the brink of elimination in 2014. However this organization has looked petty in looking too much to the bottom line so far this offseason. They have lost 4 players from the 98 win team of 2015 – and only have Jon Niese and Juan Nicasio as guys that help the MLB squad in 2016. They still have 3 months to go, but thus far the winter has been a tire fire. What the hell are the Pirates doing this offseason?!! I mean I have tonnes of respect for Neil Huntington – however the brass has made some highly questionable moves to save some money. The Pittsburgh window to win is 2 – 3 more years, yet it almost looks likes the management is throwing a preemptive strike to blow the club up. Okay, I may be overstating the facts a little here – as there is still well over 3 months before the club even hits Spring Training. Pittsburgh Pirates State Of The Union For 2016: All Hands On Deck To At Least Start 2016! Pittsburgh had the 2nd best record in the Majors with 98 wins, yet were samarily dismissed in the Wild Card Game by the Cubs – and a lightning hot Jake Arrieta at the time It may actually get worse for the Bucs in coming years with the emergence of the young NL Chicago squad and the continued dominance of the St. Louis franchise. My idea is to spend some money this offseason, but if you are 5 or 6 games behind the playoff bar near the Trade Deadline, to deal all guys on the remainder year of their contracts and to retool for 2017. I start this blog by praising Neil Huntington and his management for how they assembled this team over the last 6 – 7 years. It follows the Royals and Twins before them as smaller market clubs that finally used the draft to their advantage after struggling for years. Here is the thing though..You have a team that needs the final pieces now to compete for a championship! Heading into 2016 the teams core nucleus comes back, and the club will attempt for a 4th straight playoff appearance. Kris Bryant is about as sure of a prospect there has been in the last 5 years. Will the Cubs let him start the year in 2015, or will they send him down until the end of April to save service time. All you need to know about the franchises desire to win it all this campaign may be based on this decision. The young slugger had 40 HRs in the Minor League’s last year. These are my top 100 prospects in baseball. There is a lot of talent in the minor leagues right now across almost all levels. Yoan Moncada signed after I wrote this but he would slot in the 8th slot right ahead of Joey Gallo and I do believe Moncada will be a stud. 1. 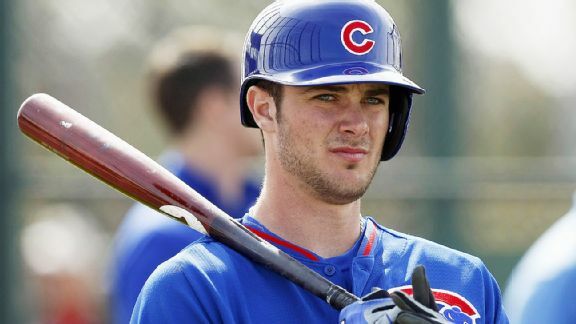 Kris Bryant 3B CHC – He will hit for power and hit for a high average at what is an underrated position. He was the 2nd overall pick in 2013 and has the looks of a perennial all star. 2. Carlos Correa SS Hou- He was having a very nice season at the best hitters park in the minors in Lancaster before he broke his leg. I think he can stay at SS with almost all five tools with power rapidly emerging. He’s the future face of the Astros. 3. Corey Seager SS LAD- There are people who think he may get too big for SS and have to transfer to 3B but I think he has much more value at SS and can stick there for at least a few years. He should have an elite bat with plus plus power. Possibly the next Troy Tulowitzki with a slightly worse glove.